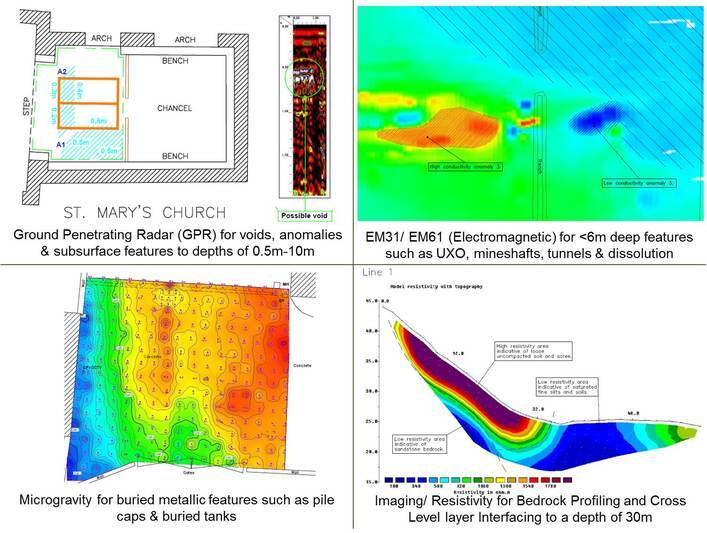 Using GPR, Electromagnetics (EM), Micro-gravity and Electrical Imaging / Resistivity, GEOTEC Surveys map the sub-surface environment, for a range of features. Call Julian, Tom or Luke on 01428 686168 to identify whether any of these or a combination, would meet your requirements. map the extents of oil pipeline and water leaks. assist in cable route design. provide evidence of fissures/ caves / tunnels/ mines. 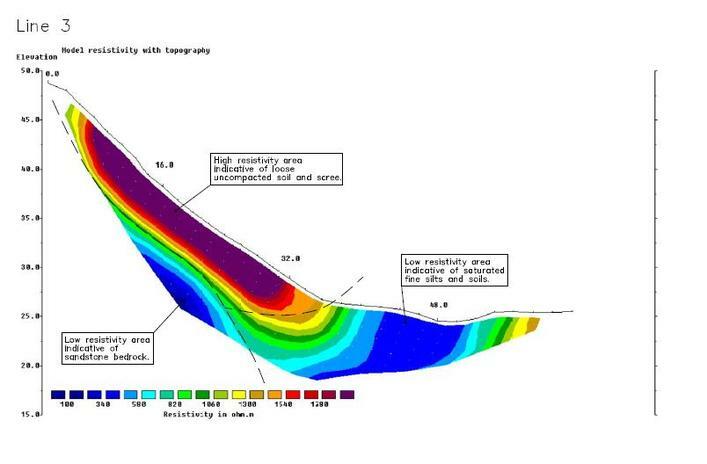 A full cross section can be provided showing the contours and make-up of the ground reaching a depth of 30m into the ground.